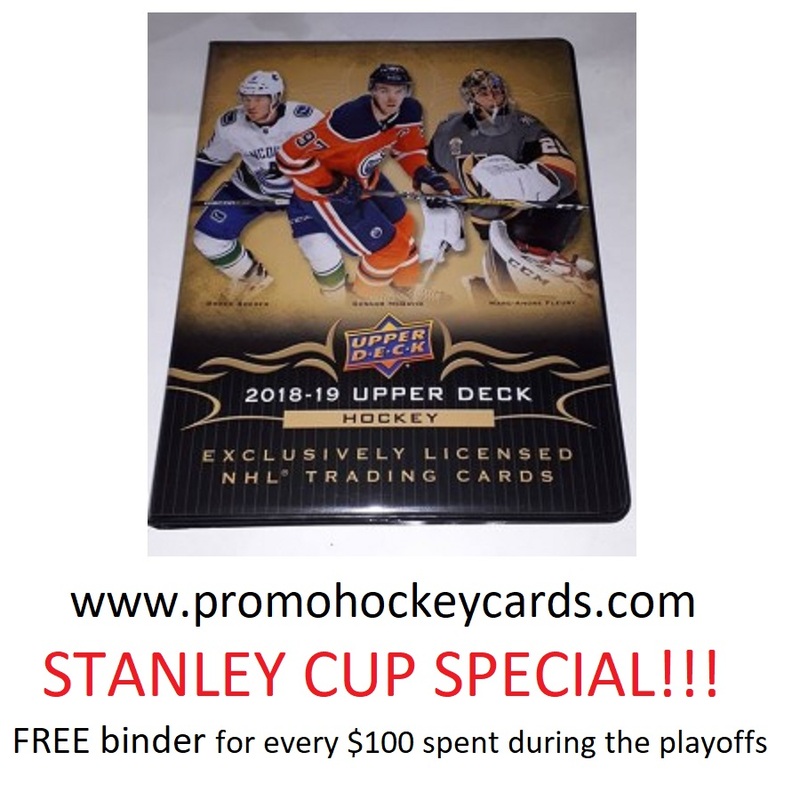 While the Stanley Cup Playoff are going on and supplies last we are going to include a FREE "2018-19 Upper Deck Series 1 One Binder 14x 9page sheets inside" for every $100 spent before taxes and S&H. For example if your order is $500.01 before tax and shipping we will include 5 of the binders with your order automatically when we pack your order. You don't need to add it to your shopping cart. We will add it to your shipment when we pick your order if your order total qualify.